In one Alaskan fishing village, crime is a laughing matter. It's not the crimes that have residents chuckling so much as how they're written about. The Unalaska crime report is full of eagle aggression and intimate encounters gone awry in the Aleutian Islands. When Sgt. 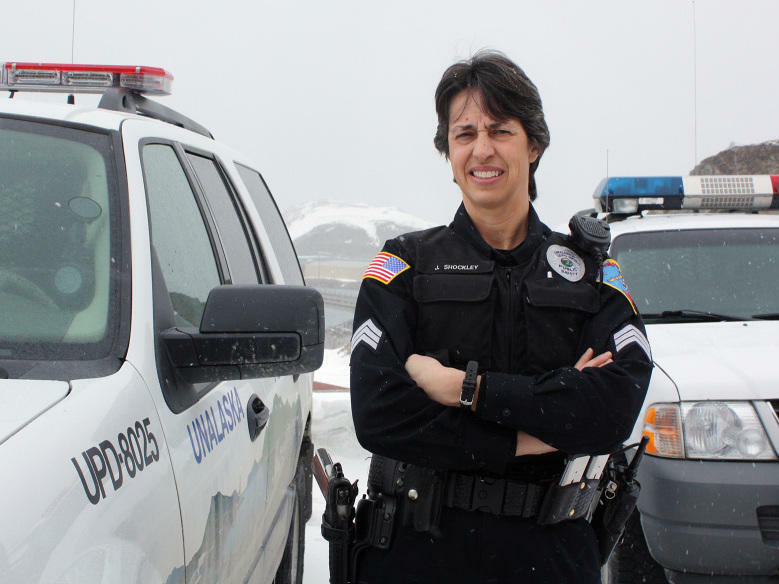 Jennifer Shockley heads out on patrol each day, she's got the police blotter on her mind. Her goal is to paint a detailed picture of the town's often ridiculous crimes.